Anvase, identity proclaims The Vision, Mission and Values. Anvase, enabling it to demonstrate. Outstanding Teamwork that rises above the expectations of it’s clients. 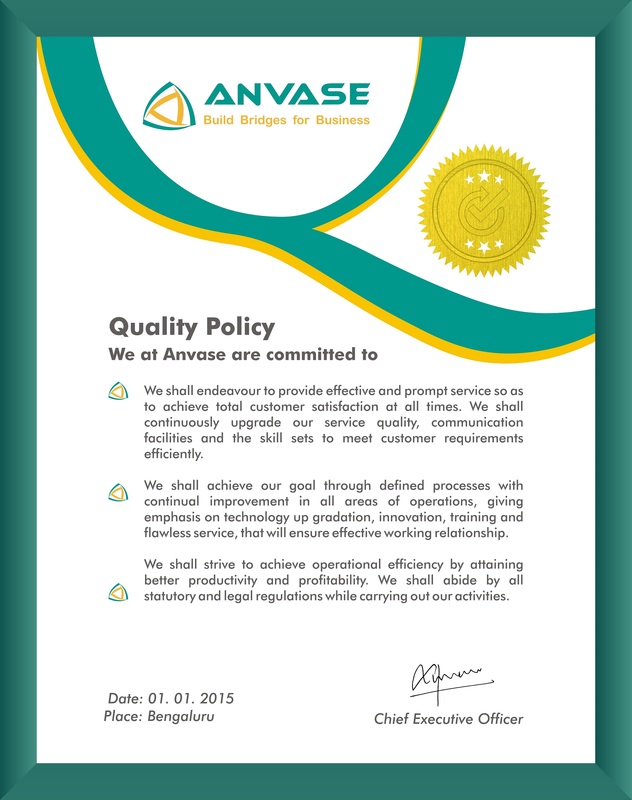 Anvase, delivers innovation that solves challenges, with experienced and talented proven team in global market. 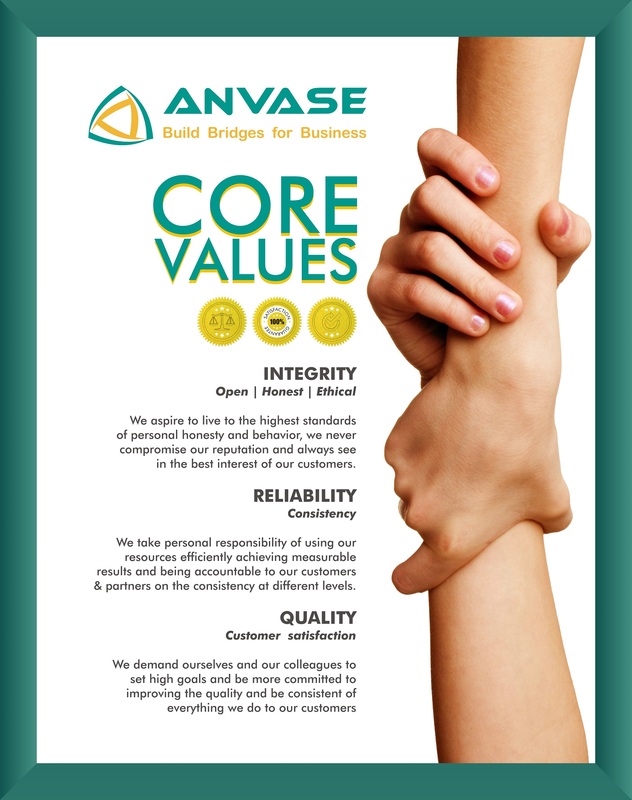 Anvase, Contributes to society with Trust and Expectation. With service as the base, technology as the tool & team work as the driving force.